When you need a classic but understated event flyer, this leaflet is a great choice. Entirely in black and white, this event flyer has room for the date, time, and address of the event. 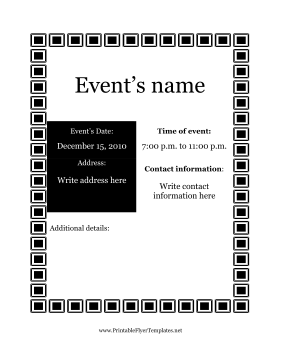 It features a border of black and white squares, and is appropriate for either mailings or public postings.